So I have to say, when Amanda told me she would feature me for her Budding Blogger Showcase, it was like a celebrity emailed me! Seriously, I gave such a loud shout that my husband came running in to see what was wrong! Then he shared in the giddiness with me!! Then my teaching partner did the next day, too :) This is going to be a short but sweet post, because I'd love for you to head on over to Amanda's blog and find out a little more about me and this little ol' blog of mine! Click on the picture below to go to it! Also, in honor of this amazing occasion, I am having a flash sale at my TPT store!!! Today and tomorrow EVERYTHING will be 20% off! Head on over to my store and do my favorite thing, SHOP! :) Thanks for stopping in! 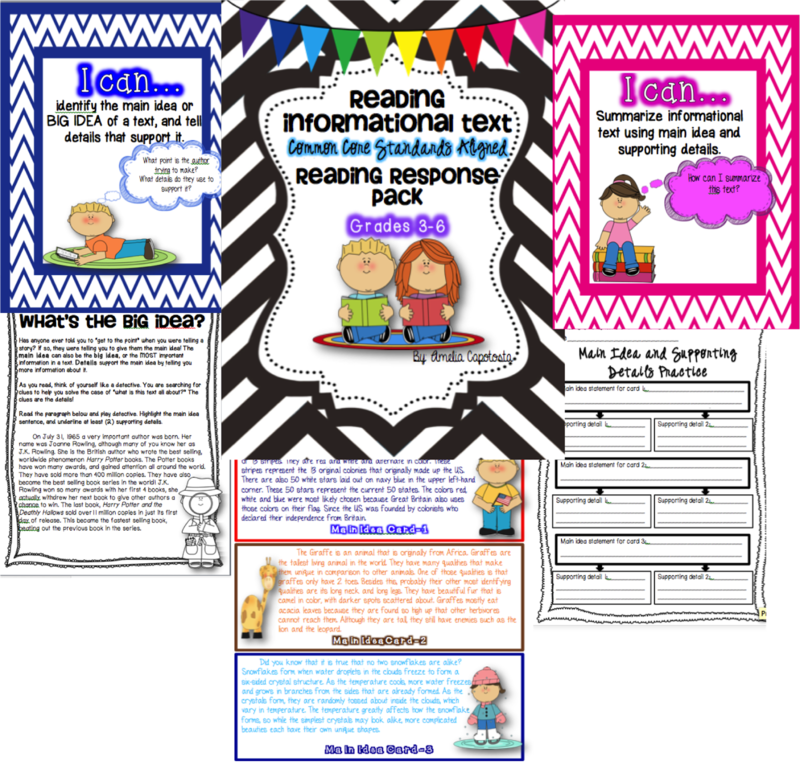 Don't forget to check back on Friday when my Common Core Informational Text aligned pack will be completed! Yay! Congratulations, that is so awesome!I am headed over to read all about you! So glad to find your blog from Amanda's! I teach grade 3/4 this year and love getting new grade 4 ideas. I know what you mean about feeling like Amanda is a celebrity - in the teaching world she is. Look forward to reading more of your posts! She is totally a celebrity! So glad to find another upper elementary teacher :) Thanks for following! I read about your blog from Amanda's also. I teach 1st and I would really like to start doing some lapbooks with my class. I totally loved the Narnia one! I'm your newest follower. I found your blog through Amanda's blog and I'm so happy I did! I am your newest follower! Following along from Amanda's! Like her, I love your blog name! Yay! Cute blog! Excited to be your newest follower! I also teach 4th grade...it's the absolute best grade don't you agree?